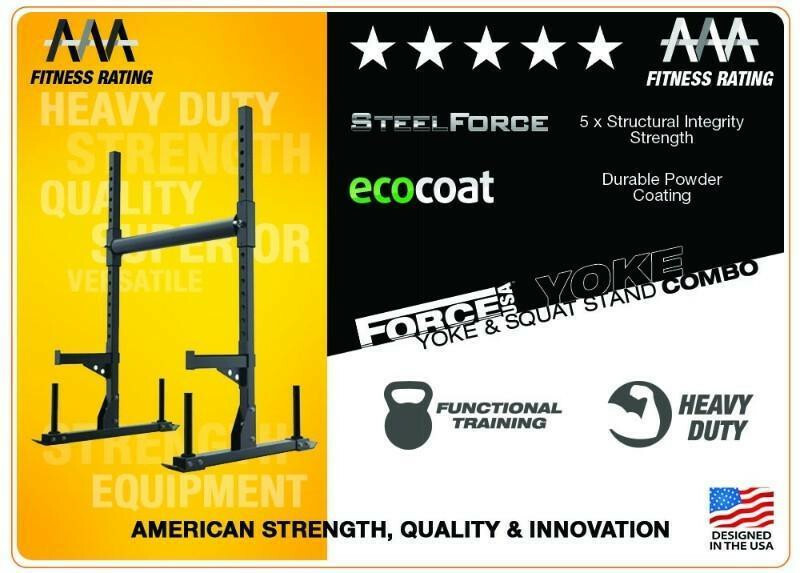 Force USA takes Strongman training to the next level with the Yoke and Squat Stand Combo. 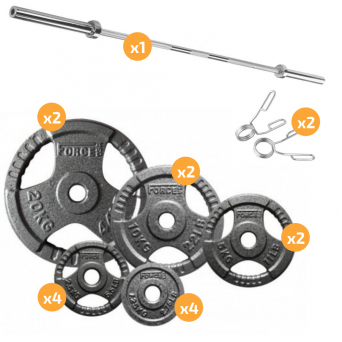 Go heavy in your functional training when using as a Yoke or Push / Drag sled. 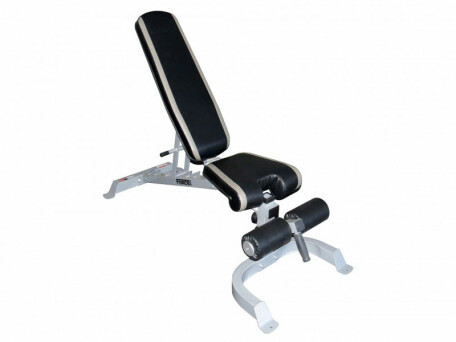 Then swap to Squat Stand mode and smash out your barbell sesh. 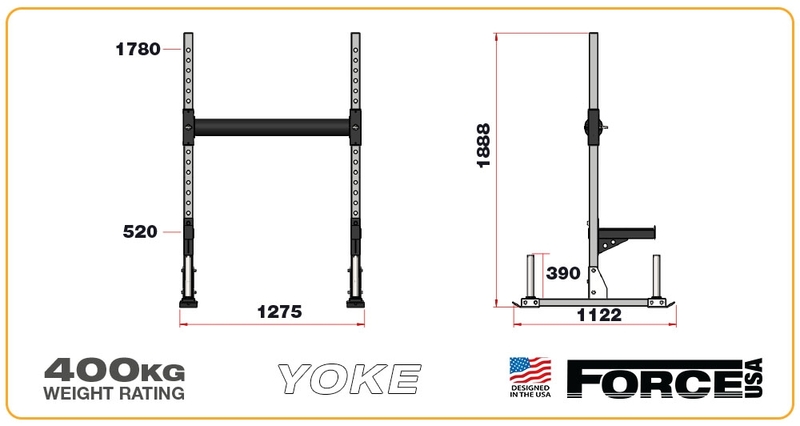 The Force USA Yoke and Squat Stand Combo has a massive 400kg weight rating. 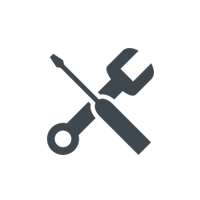 Superior design in strength and stability with welded reinforcement brackets. And of course, barbell exercises in Squat Stand mode. Whether youre training for a Strongman competition or just want to be a strong man, this Yoke and Squat Stand Combination is packed with features to reach your goals sooner. 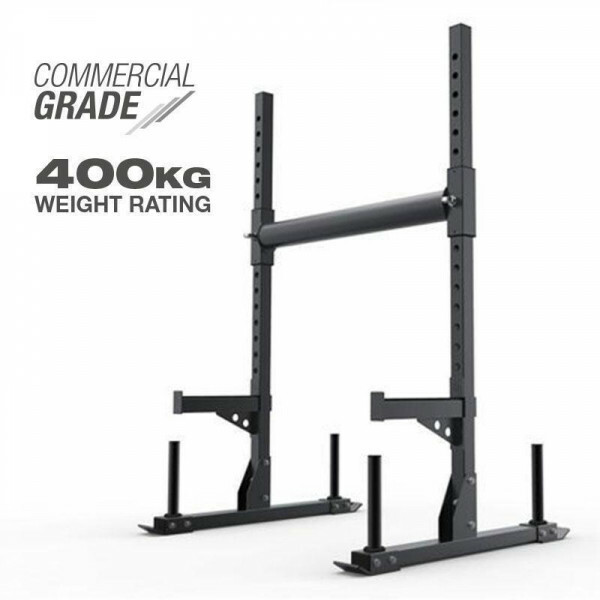 A heavy duty Yoke, Sled and Squat Stand packed into one compact unit. 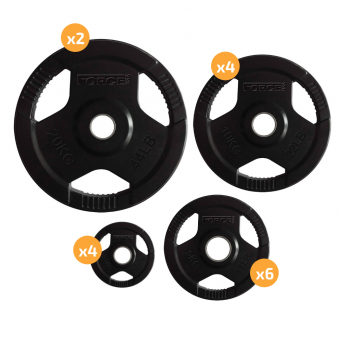 The Olympic Weight Plate holders also work great for tidy storage of your weight plates when not in use. 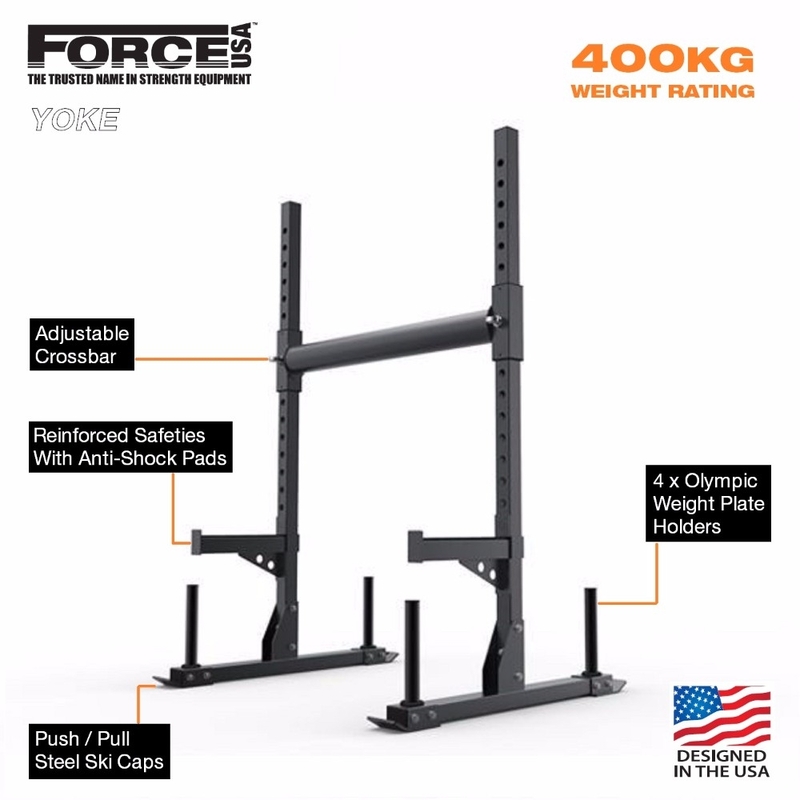 The Force USA Yoke and Squat Stand is ideal for performance training centres such as professional sports teams, cross training locations, clubs and fitness centres. Why risk buying a generic, unknown brand when premium is this affordable. 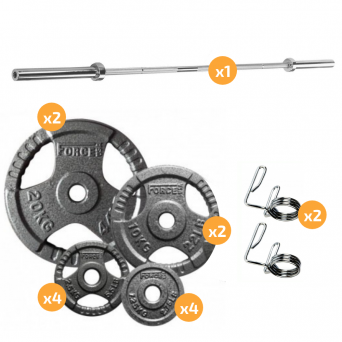 Best-In-Class Force USA gives you superior quality, strength and stability. 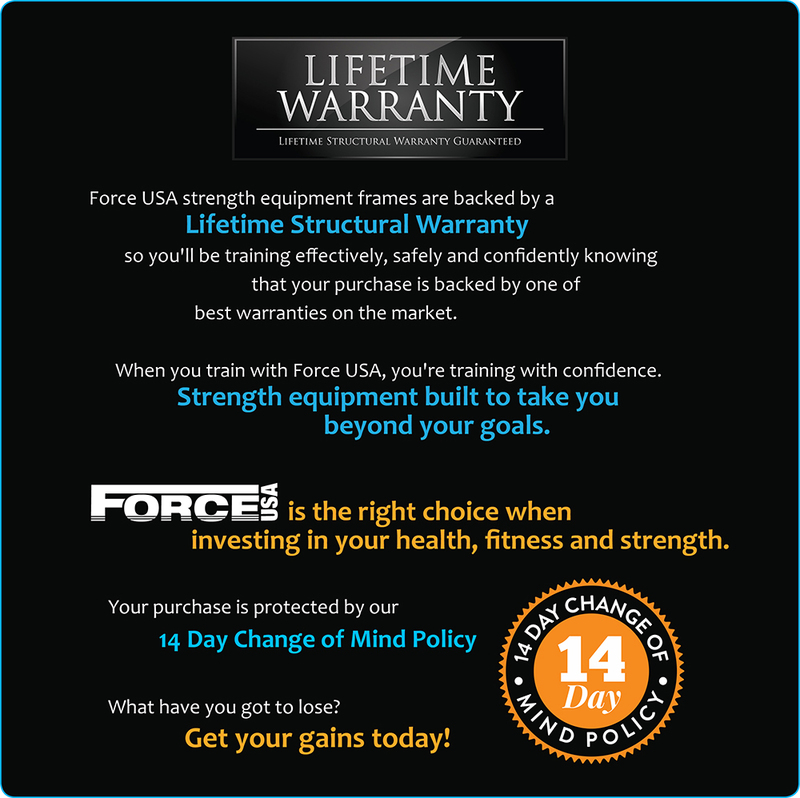 Backed by Force USAs renowned LIFETIME STRUCTURAL WARRANTY. 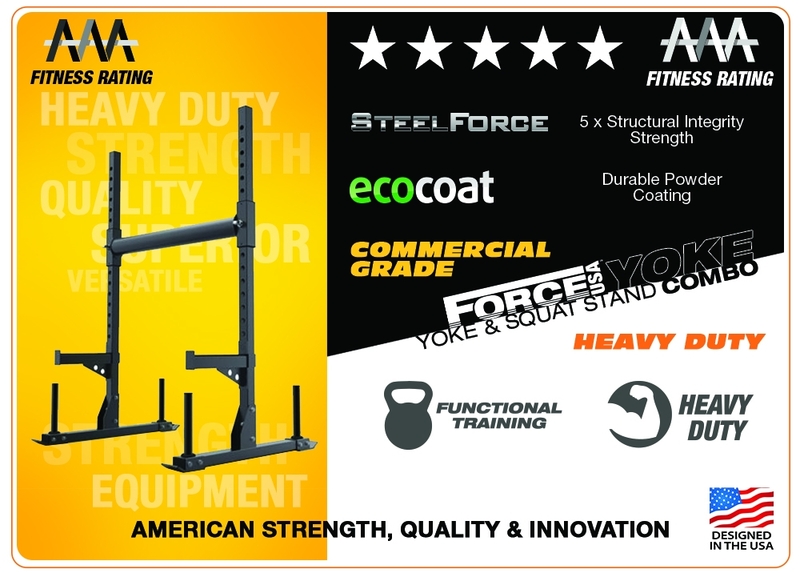 The Force USA Yoke and Squat Stand Combo is an ultimate Strongman training unit. 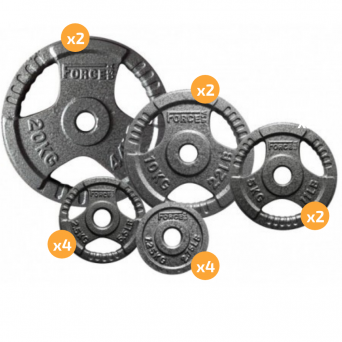 Lift, push, pull, carry and squat your way to becoming a Strongman. Today!